I’m pretty heartbroken to have to write this post… but it seems that I’ll have to move my blog from this site to another. The media storage here is all used up and I’ve been told that my only options are to remove media from my media folder – which will also remove the media from the posts it is associated with – or I can pay the $200+ required to upgrade my blog. Paying $200+ for a blog is just not in my budget – so I’m going to have to revert back to using my original blog host: Blogger. If you enjoy my blog, I’d love it if you’d follow me there. It won’t be quite as fancy as this blog but hopefully you’ll enjoy it all the same! Just a few snaps of my sweet pup living his best life this week – taking in the sunshine on the deck, smothering his Porg while relaxing in his bed and watching a little The Man in the High Castle on Sunday night! It’s Tuesday and I am just now getting around to posting about the past weekend. I have next to no pictures from the weekend – even though I did plenty! I don’t know what inspires me to take pictures some weekends and not take a single snap on other weekends – but I did put together the six that I could find that had something to do with the weekend, ha-ha! Friday at work my sweet friends Danielle and Meridith brought balloons and presents and we had breakfast from Firefly Cafe to celebrate my impending birthday! I got some wonderful gifts, including the awesome Dia de Las Muertes mug I’m holding, an Outlander charm bracelet and of course, my balloons – which included a Disney princess balloon – because I may be 34 but inside I’m 5! After a Target run after work, I went home and watched Sleepy Hollow, had some pizza for supper and just relaxed the evening away – it was a nice way to spend a Friday night after what seemed like a long week! Happy Birthday to Me – love this mug! All the macarons from Olivia Macaron! Just one of my balloons! 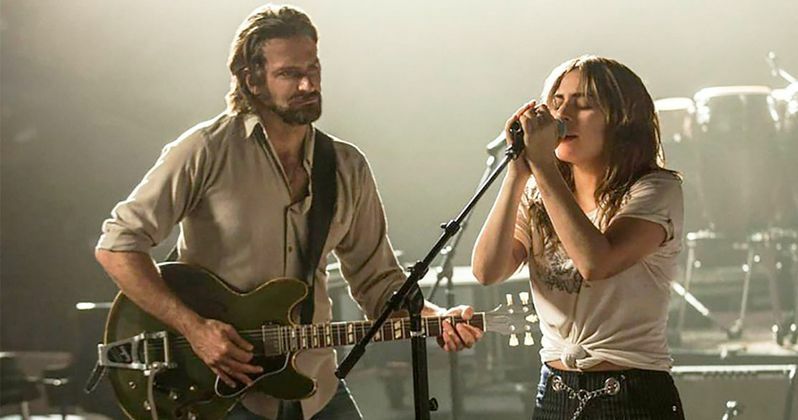 Saturday morning after having coffee and opening presents while face timing my parents, I headed out to the Alamo (the Drafthouse, not the “Remember the”) to meet up with Danielle and Meridith to see A Star is Born…which I loved! So much! After having lunch and cookies while watching the movie, Meridith and I headed to the nail salon together and I got a gel manicure and we chatted…as girls do. I headed home and passed the rest of the afternoon and evening with my pup, watching the third season of The Man in the High Castle. Sunday morning after coffee and church, I met up with my friends Katie and Joshua for lunch at Los Potrillos – a local Mexican restaurant and we had lunch and caught up. I did a Wal-Mart run and let me tell you… Wal-Mart on a Sunday afternoon is like no man’s land – it’s a wild and lawless place and I grabbed the items I needed and made the run for home as quickly as I could. I passed the afternoon with more The Man in the High Castle, enjoying the sunshine outside and generally just being lazy – isn’t that sort of what Sunday is for? Honestly – that’s all she (me) wrote for the past weekend. It was full but not too full and a lovely way to spend a weekend. Adios for now! 33 in a Nutshell…Here’s to 34! Welcoming Lindsey home from Jordan! Flying home from MS in November! Meeting my friend Kristen’s daughter! Lindsey and I with our “sister” McKenna – she may belong to friends but then again…friends are the family you choose and so…she’s our little sister. Cuddling my friend Melissa’s baby girl! Dinner with my sweet sister! Do you see that flying banshee? In MS in February to celebrate my Nanny’s life. First snow of Winter – in February! Movies with Jimmy & Jennie! First Nationals Game of the season! Evie – never wanting to smile! The Capitals won the Stanley Cup! KISS Goofy Golf in Vegas! Smiles on the mountaintop with my pup! Experiencing my first rain out! Sitting on the Iron Throne! Final Nationals game of the 2018 season! Pocahontas and Jamestown in September! Kings Arms Tavern in Williamsburg! A pretty accurate description of me! The last weekend of 33! Well – it’s finally Friday! This week has been good but it has seemed long! Work has been hectic and even though the weeknights seemed to speed by, the week itself seemed to drag on! Thankfully I survived to Friday and now the weekend lies ahead of me – yahoo! One. Last Day at 33 – Tomorrow is my 34th birthday and I honestly cannot believe it’s gotten here this quickly! 33 has been a more difficult year than I thought it would be and while I have so many happy memories from this past year that I will cherish forever, I am also excited to see what 34 holds for me! I know Lady Gaga can sing and I’ve seen her act – American Horror Story:Hotel anyone? She was fabulous in that…and this looks like a dramatically different part for her, so I can’t wait to check it out! I’m going with two of my girlfriends on Saturday (my birthday!) and I’m sure I’ll be keeping the soundtrack in rotation after I see the movie! Three. Perfectly Posh Snow Biz Launch – The Winter product launch happened earlier this week and there are so many wonderful new pampering goodies to indulge in! One of my favorite products is Honey, Honey – an amazingly thick and rich body cream that helps with even the worst dry skin! I grabbed two bottles of it so I’d have one in reserve! Four. Other Asheville Things – I had a few more pictures from our past weekend that didn’t quite fit in with my other posts and so I decided I’d drop them here! We had such a wonderful time exploring the Biltmore on Saturday and we found the best little macaron shop on Saturday evening (my Mom found it beforehand…ha-ha!) and to my extreme excitement, they were all on sale for $1 a piece! Family Shot – Minus One! We had brunch on Sunday morning at Deerpark Restaurant; the surroundings were almost magical – the twinkling lights and the wood beams reminded me of something from an Elven kingdom in Lord of the Rings! #nerdalert The outside of the restaurant had massive lanterns that once adorned the Vanderbilt mansion on 5th Avenue in New York City; the mansion took up a whole city block! Five. Perfect Panorama – I’ll leave you with this gorgeous panorama I took of a storm rolling over the mountains on last Saturday evening – I think it just looks beautiful! I hope everyone has a wonderful weekend and I’ll pop back in sooner or later, ha-ha! The construction of Biltmore Estate began in 1889 and continued into 1896. The home was officially opened by George Washington Vanderbilt on Christmas Eve 1895 (I almost put 1985…not quite Natalie), George brought his new wife Edith to the home in 1898 after their marriage and their only daughter, Cornelia was born in the house in 1900. The home was meant to be George’s “modest cottage in the mountains” but after a three year shopping trip overseas – the home was completed and came in at 178,926 square feet. The home is the largest privately owned home in the United States. This was my second visit to Biltmore Estate; my first visit was over sixteen years ago when I was still in high school. The house has opened up quite a few more rooms for the tour since my first visit and of course, this visit also coincided with the Chihuly exhibition that was taking place. The house never fails to impress and I mean, how could it? It has 250 rooms and even seeing a fraction of those rooms on the tour – you’re left daunted by the grandeur. The Salon – see me in the mirror? The ceilings of the Salon. I have to tell you – the tour we did was a self guided tour and so you wander through the house with other people who have chosen to tour the house. An older couple were perusing the rooms a short way behind us and as we entered the Salon (pictured above with the dramatic drapery ceilings), the gentleman loudly exclaimed “well what kind of ceiling is this? It’s like they’ve strung up the damn bed sheets!” I had to walk a bit faster so they didn’t catch on that I was having a fit of giggles. The panoramic view from the Loggia! Of course – I couldn’t resist capturing the Tapestry Room with a panoramic shot as well. How else are you meant to fit all the tapestries and gorgeous fireplaces in one picture? The Tapestry Room has gorgeous tapestries gracing the walls (shocking – given the name of the room, right?) and two painted fireplaces that are nestled in between the tapestry. And then there is the Library…oh my… It looks a little like something out of my very favorite movie, Beauty and the Beast. Certainly nothing is quite as exquisite as that library – but the Biltmore’s library contains over 10,000 books in eight different languages, walnut staircases that swirl up to the second floor of books and a ceiling painting called The Chariot of Aurora – brought from Venice by Vanderbilt. Some of the 10,000 books in the Library! Rolling steps in the Library! The most stunning part of the house – for me – is the cantilevered staircase that sits to the left of the sweeping entrance and spiral up four floors, with windows offering a view across the lawns and a wrought iron chandelier that is suspending over the center – the bolt holding the behemoth in place has only been changed once in the home’s history. I’m not sure whether that’s impressive, fascinating or a bit of both! Regardless – the staircase is my very favorite thing about Biltmore Estate! The fireplace in George’s Bedroom! The Oak Sitting Room that adjoined the bedrooms. Peering into the Banquet Hall! After winding up three stories, the tour takes you back down the glorious staircase and deep into the basements of the house. You make your way through a stone corridor that shows the footings of the house (they took two years to put in place) and into the Halloween Room! This room was actually painted for a New Year’s Eve party and was left with the unique paintings all over the walls… it makes for a unique room. The basement of the house also plays host to changing rooms, a 70,000 gallon heated swimming pool, a bowling alley, a gymnasium (that would have been state of the art when the home was completed) and all of the main kitchens. The tour then winds you back up another pretty delightful staircase, adorned with wild animal heads…and into the Bachelor’s Quarters of the house. I didn’t snap too many pictures here but there was a Gun Room, a Billiards Room and of course, a Smoking Room. And then…after one last peek into the Banquet Hall, you’re out the doors and into the Stable area – tour completed! The house is absolutely stunning – and how could it not be? Created at a time in history literally named The Gilded Age, by a man who had no concept of money – the home is nothing short of fantastical. I know that castles are a plenty in European countries but I think Biltmore Estate is just about as close to an American castle as you’ll find. I love touring Biltmore Estate and I’d go back in a heartbeat – I always find something new and fascinating to see and if you have never been, I’d highly recommend it. It’s a wonderful spot to visit and offers so much more than just a tour of a really large house! Watson is always so glad to see me when I return from being out of town…and while I’m sure he’s glad to see me for many reasons, I think the main reason is because he can beg for a bite of people food again!